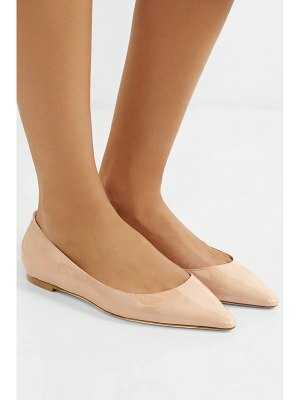 Jimmy Choo - Jimmy Choo stays devoted to feminine designs with these baby-pink Romy flats. 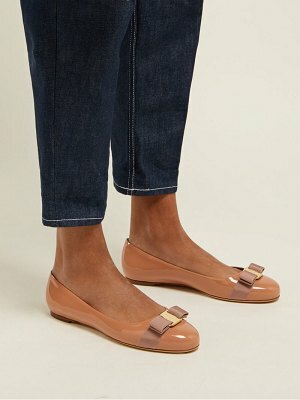 They're made in Italy from glossy patent-leather with a point toe and a small stacked heel, and are grounded on a beige brushed-leather sole. They'll look equally chic with a flowing dress as they will with cropped jeans.